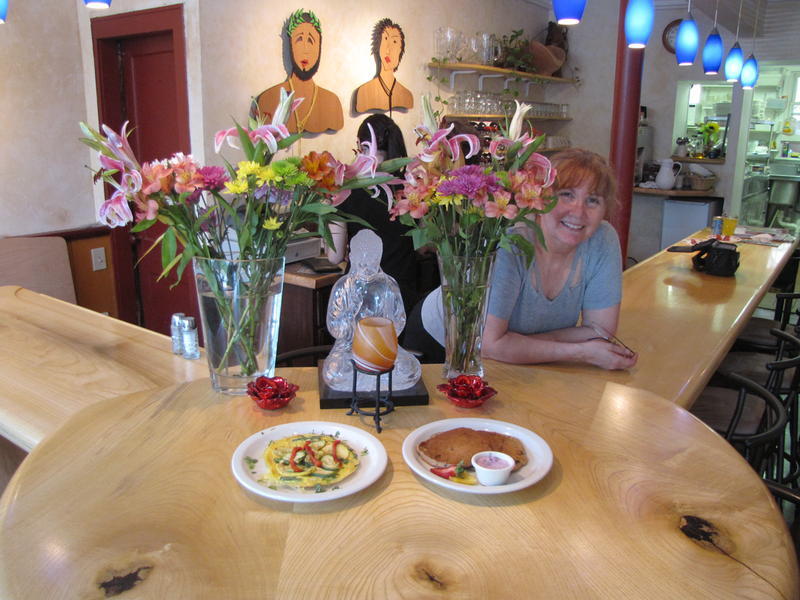 Carmen’s Bistro is about great food and drink, and interesting conversation in a friendly, informal setting. Cuban-Spanish-American food in a bistro setting. 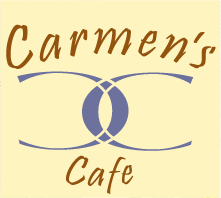 Carmen’s Bistro was founded with the idea that people need an easy, attractive place to gather; fresh, tasty wholesome food at reasonable prices; and interesting art, ideas and entertainment to feed their bodies and souls. We enjoy the fine art of conversation and delight in our customers making new friends, trading the latest about their lives, and finding jobs, apartments, or new things to do. We like to eat here ourselves to meet and greet new friends and old, and we wouldn’t open our doors if we didn’t. Carmen is Cuban/Puerto Rican. She cooks the food she grew up with, what she tasted while visiting relatives and friends in Spain and on the Islands. It’s a mix of Cuban, Spanish, American and more. We cook it all fresh with healthy ingredients. We always have vegetarian options—call about our non-dairy and gluten-free foods. We Make Our Own Sodas and boy, are they tasty! No sugar, just fruit juicy goodness in every sip. Subtle and deep, yet simply refreshing! Half to a third the calories of regular sodas— ask for a sample! Jim Lewis of Springwood Studios designed and fabricated the interior of Carmen’s Bistro, Troy NY. Highlights include a counter carved from a huge Ailanthus tree, a spectacularly beautiful wood resembling American Ash. The Dance Floor is built of birch, cherry and aromatic red cedar in a stylized pattern of Brigid’s crosses. The result is a homey, convivial bistro-style interior, well suited for a neighborhood café counter carved from a huge Ailanthus tree, a spectacularly beautiful wood resembling American Ash.